I struggle to choose one a favorite ‘genre’, but I do enjoy any type of music that surprises me or inspires a visceral reaction. I do tend to gravitate towards contemporary classical, indie/folk, and classic hip-hop - anything that is expressive in its own terms. 2. How old were you when you first learned to play an instrument? I began studying the violin around age five. I saw Itzhak Perlman perform on Sesame Street and was really entranced by the sounds he could make. It looked like he was having so much fun. 3. How is playing the violin different than the viola? The violin and viola differ slightly in their dimensions and tuning. The violin is slightly smaller and is tuned to E, A, D, and G, while the viola is larger and is tuned to A, D, G, and C. This tends to produce a sweeter sound in the violin and a richer sound for the viola. 4. Who were some of your most inspiring teachers? Each of my teachers have been inspiring in their own right and perfect for where I was as a musician during the time I studied with them. My high school professor, Margie Karp, really encouraged me to pursue the violin in college, while my professors at B.U., Bayla Keys and Dana Mazurkevich, cultivated my technical awareness and personal voice into how I perform today. I couldn’t be more grateful for their patience and persistence with my musicianship. 5. How often did you practice when you were a kid and how have your practices changed since you became a professional? I practiced semi-regularly from age five through high school, maybe 30-45 minutes per day. In high school, I began to practice a ton, probably a few hours per day, as I knew I had to nail my auditions for college. Lately, my practice is much more sporadic as my schedule is always changing with concerts, rehearsals, and teaching. I try to be much more self-aware when I practice now as opposed to high school, and hope to instill these habits into my students as well so they can use their time most effectively. I enjoyed the amount of time I played my violin when I was younger but realize I could have accomplished much more if I practiced smarter. It seems most of my musical memories are from when I performed with others, either in a chamber or orchestral setting. One of my earliest profound musical experiences was as a high-schooler during the Boston University Tanglewood Institute. I sat principal second violin for the orchestra’s performance of Stravinsky’s Rite of Spring at the Hatch Shell in Boston. As a young and eager player, it felt incredible to performing this crazy piece alongside musicians from around the country. Recent fond memories include mostly chamber music performances. Playing the entire Ravel Quartet with the Denovo Quartet at a beautiful church in Park City, UT was incredibly moving for me. Likewise, performing video game music with the Videri String Quartet at the Austin City Limits Live Theater in front of approximately 1,600 screaming fans was a similarly breath-taking experience in its own way. 7. What do you like most about teaching young musicians? Definitely that ‘ah-ha’ moment when they discover a cool sound or a new technique. And then to hear them internalize that skill so quickly and make it their own is really neat. 8. 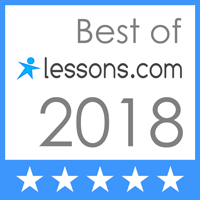 What is your best advice to students who want to learn a new instrument or improve their playing? Patience plus super-sonic listening. It can take awhile for our body to learn how to execute some of these motions, but if you can assess how you sound and then hear in your head how you want to sound, then you can essentially become your own teacher. Allow yourself to make mistakes and enjoy the learning process! 9. Any upcoming performances we should know about? Excited about several concerts this summer as part of the Newport Contemporary Music Series in Newport, Rhode Island. I’ll be performing contemporary classical chamber music on July 2nd in Newport in addition to other orchestra concerts through July, then in August, I’ll head to Lucerne, Switzerland to perform more contemporary music at the Lucerne Festival Academy. Neat to play lots of new music, but of course, I also like more traditional repertoire, so my Denovo Quartet mates will perform a house concert in Lexington, MA on July 29th featuring works by Beethoven, Debussy, and Brahms. 10. When you’re not performing or teaching what do you like to do? I love basketball, and follow the NBA fervently. I try to play a few pick-up games when I can, but also enjoy running and swimming if ballin’ isn’t an option. Really enjoy living in Somerville where there are great cafes and eateries - always fun having a good meal with friends. 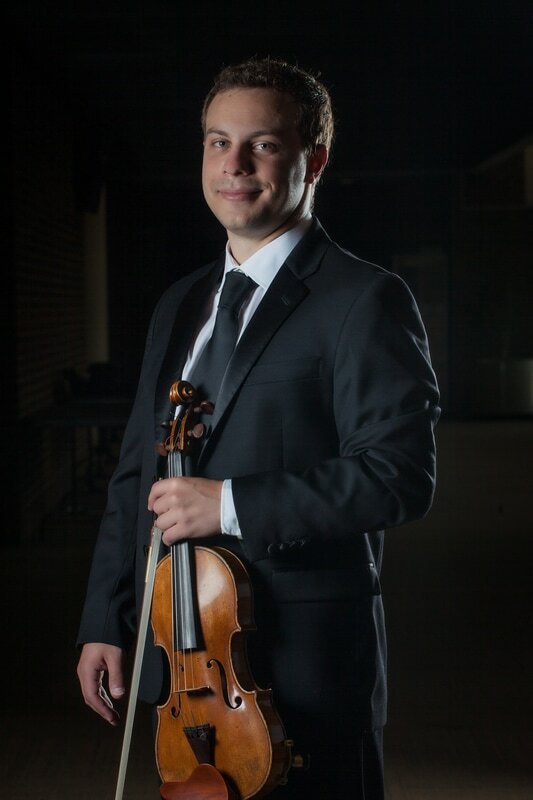 Michael is a native of Lexington, Kentucky and has performed in orchestras and chamber ensembles around the world, including China, the Czech Republic, Austria and Canada. Michael graduated from Boston University with his Master's of Music degree in Violin Performance, where he studied with Dana Mazurkevich. He also earned his B.M. at BU, studying with Bayla Keyes. He was the first-prize winner of several competitions in Kentucky, including the Borchardt Central Kentucky Youth Orchestra Concerto Competition and the Macauley Chamber Music Competition at the University of Louisville. Read more about Michael on his Teacher Page.